Create supplemental income or replace your income with a Career in the growing field of Lash Artists. Learn from a Master Lash Trainer and a Licensed Esthetician with our Fast-Track training and be able to start Lashing right after the class. 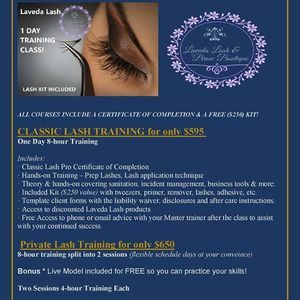 With our 1 Day training we focus on the important aspects and give you all the tools to fast track a career in Lash Artistry. 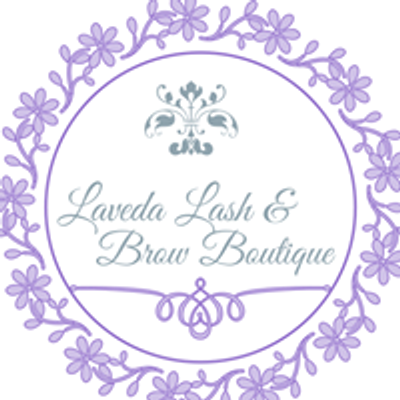 · Included Kit ($250 value) with tweezers, primer, remover, lashes, adhesive, etc. · Template client forms with the liability waiver, disclosures and after care instructions. · Free Access to phone or email advice with your Master trainer after the class to assist with your continued success. Bonus * Live Model included for FREE so you can practice your skills! We provide the same level of training and curriculum as with our Standard Training, but we split the training into 2 days. Train at your own pace. We split the training into 4-hour Sessions.